California - Accessible Archives Inc. The winter of 1873 was one of the worst on record for the Midwest; particularly in Indiana. The opening of the transcontinental railroad led to a surge in travel westward, particularly into California. In addition, the economic recession in 1873 pushed many emigrants westward in the hopes of finding new employment opportunities. 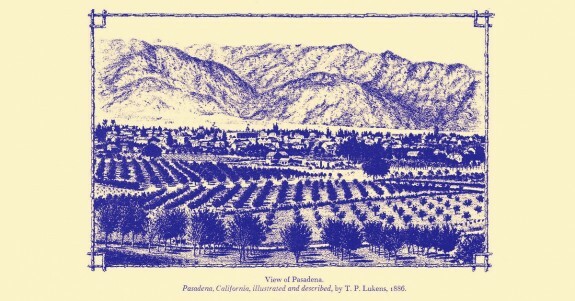 These events led a group of Indianapolis residents, also lured by emigration notices extolling the warm climate of California, to meet and propose a settlement of Hoosiers among the orange groves of southern California. This group acquired a number of investors for a settlement and dispatched a committee to select a suitable area for the emigrant investors. The “California Colony of Indiana” came into being in September 1873. Years later, after a dispute with the U.S. Postal Service, the Colony would be re-named the city of Pasadena, California. 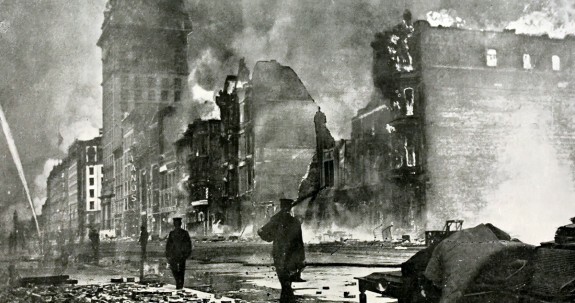 In dwelling on the performances of San Francisco after the great disaster of 1906, and in pointing out that material advancement is not dependent on the moral status of a community there is no desire to convey the impression that profit is derived from the pursuit of vicious courses. The parasite never contributes to the growth of the thing on which it fastens, but on the other hand the purest of motives, the best of intentions and the most perfect of laws unaided cannot promote the growth of a city. That depends entirely on the sagacity and energy of its people. Urban expansion is a purely material phenomenon, and whether we like to recognize the fact or not the flower of spirituality seems to grow most luxuriantly in the muck heap of wealth produced in the commercial struggle. Virtue is the antithesis of vice, and the worst forms of the latter are those which human greed calls into existence. But exaggerated human desire seems as necessary for the preservation of the race as the fertilizing element is to soil productivity. And like the agriculturist who is called upon to deal with the problem of providing for the subsistence of his kind, society must make up its mind that its struggle with parasitic enemies will be incessant. There are times when the horticulturist is compelled to cut down and destroy trees to prevent the spread of some infectious disease, but he rarely extends his precautions to the extirpation of all trees, as he would have to do if he wished to completely eradicate the evil he attacks, an end which could only be accomplished by the destruction of the fertilizers which promote productivity. Source: Chapter LXVI: The Summing Up of the Achievements after the Fire in San Francisco a History of the Pacific Coast Metropolis – Volume II — American County Histories: California – Upper image is from the book. 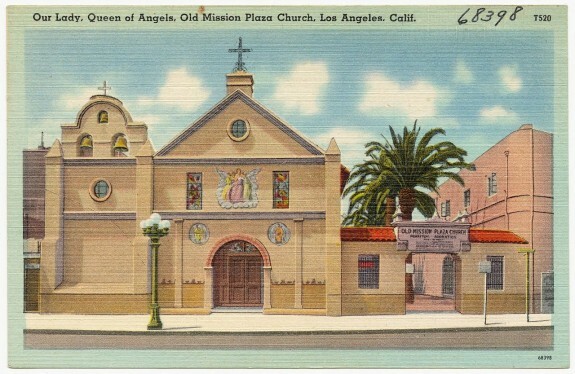 The school in the early pueblo of Los Angeles was not regarded as an indispensable thing in a new community, as it was in New England settlements. 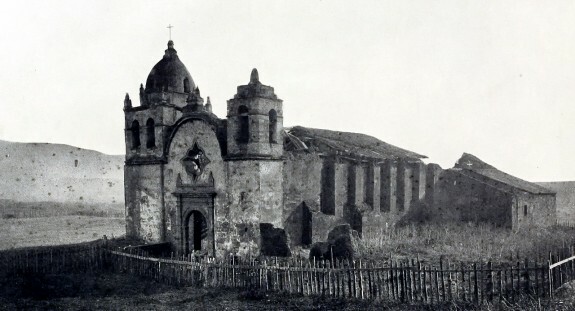 It was not until the tide of immigration brought eastern men and women from communities where schools had been established, that education by way of schools became important in the little pueblo of Our Lady of the Angels. Thirty-seven years from the time of the founding of the pueblo, under a Spanish governor, Maxima Pina taught the first school. It lasted a short two years and he received $140 a year. The next record found allowed the purchase of a bench and table for the use of a school in the pueblo. Doubtless the bench and table were for the school kept by Lucian Valdez from 1827-32. This was the longest school period under Mexican rule. The only paid officials in the pueblo were the secretary of the ayuntamiento, the sindic or tax collector, and the schoolmaster, when there was one. The schoolmaster’s salary was not to exceed $15 a month, and the chief qualification and requirement was that he should not expect, and certainly must not ask for an increase of salary. In the latter event he was to be dismissed as unfit for the office. In addition to the long vacations, there were frequent short ones when the teacher would be called to explain. It was apparently quite a satisfactory excuse to say that the scholars had run away! Saints’ days were holidays, and each child’s name saint’s day was invariably celebrated, so schools, to say the least, were intermittently conducted. 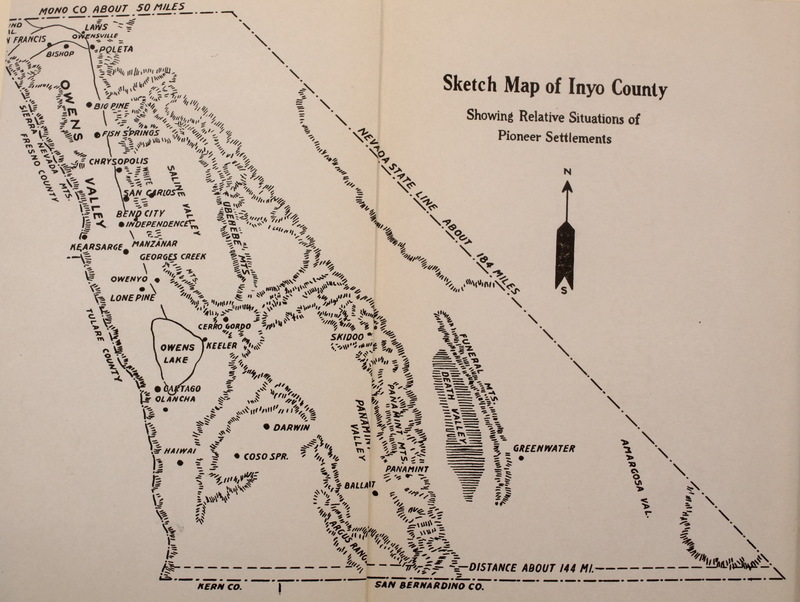 The Story of Inyo can be found in the California section of our American County Histories: The West. 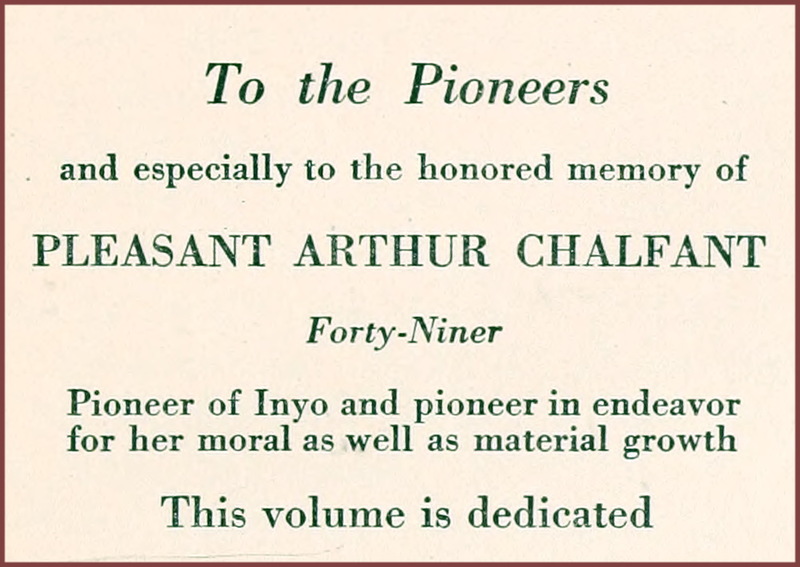 This book was compiled by Willie Arthur Chalfant (1868-1943) and dedicated to Pleasant Arthur Chalfant. California has furnished probably more themes for books than has any other American State. The easy-going romantic years of Mexican rule, the padres, the Argonauts, the golden era, the wonders of this Empire of the West, have had generous attention from both masters and amateurs in prose and poetry, fact and fiction. The flood of writing hardly diminishes, for magazine literature and still more books add to it month by month. This book’s purpose is to preserve, particularly, the record of Inyo County earlier than 1870, when a printed record began. Gathering data for some such purpose began more than twenty years ago, while many of the pioneers still lived. It was the author’s good fortune to know personally every early-day Inyoite then in the county. All narratives were checked and rechecked with each other and with other sources of information. One of the most valuable sources of information was an extensive manuscript collection in the private library of Henry G. Hanks, in San Francisco. Mr. Hanks was an assayer in San Carlos and Chrysopolis mining camps, Owens Valley, in 1863. 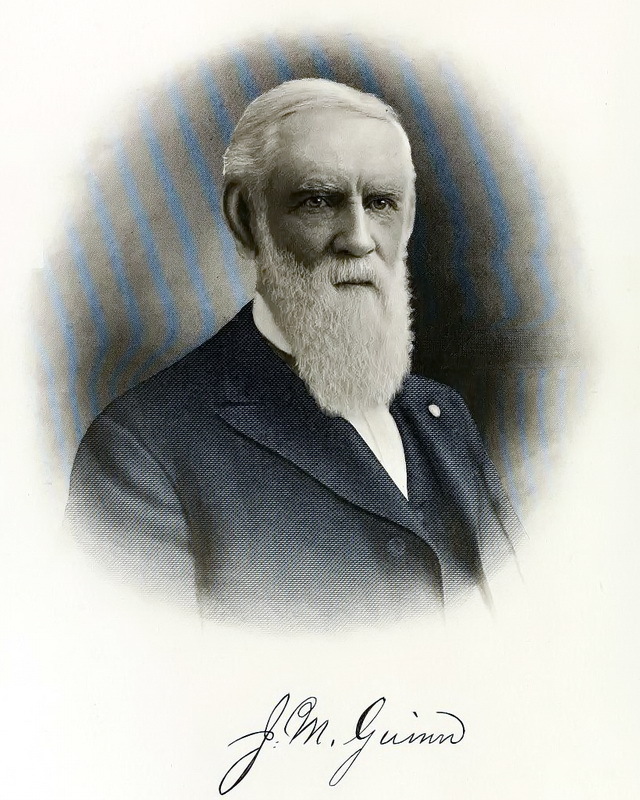 In later years he became State Mineralogist of California. He was a man of education, and when age caused his retirement from active labors his library received his whole attention. His interest in Owens Valley continuing, he kept and arranged many letters, diaries and other writings relating to this county’s history. Everyone who took any prominent part in the Indian war has passed on. The Hanks library was burned in the fire of 1906. As those sources of information are thus forever lost, there is some justification in believing that a service was done in getting what they had to impart; and also, that these chronicles, having that advantage, give the only fairly complete record of the county’s beginnings that can be compiled. This volume, History and Biographical Record of Monterey and San Benito Counties And History of the State of California Containing Biographies of Well-known Citizens of the Past and Present, can be found in California County Histories in American County Histories: The West. 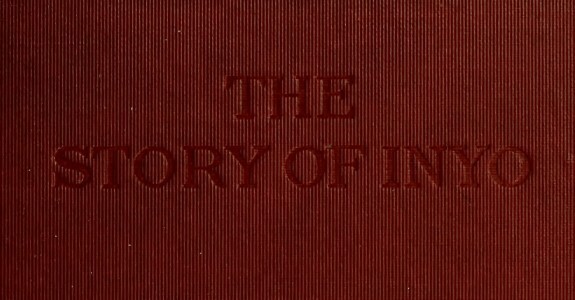 This volume stands out because it includes a wealth of information about history California itself before moving on to a detailed chronicle of Monterey and San Benito Counties including impressions of the Native Americans living in the region before and during the European settlement of the area. Few states of the Union have a more varied, a more interesting or a more instructive history than California, and few have done so little to preserve their history. In this statement I do not contrast California with older states of the Atlantic seaboard, but draw a parallel between our state and the more recently created states of the far west, many years younger in statehood than the Golden State of the Pacific. When Kansas and Nebraska were uninhabited except by buffaloes and Indians, California was a populous state pouring fifty millions of gold yearly into the world’s coffers. For more than a quarter of a century these states, from their public funds, have maintained state historical societies that have gathered and are preserving valuable historical material, while California, without a protest, has allowed literary pot hunters and speculative curio collectors to rob her of her historical treasures. When Washington, Montana and the two Dakotas were Indian hunting grounds, California was a state of a quarter million inhabitants; each of these states now has its State Historical Society supported by appropriations from its public funds. California, of all the states west of the Mississippi river, spends nothing from its public funds to collect and preserve its history. To a lover of California, this is humiliating; to a student of her history exasperating. While preparing this History of California I visited all the large public libraries of the state. I found in all of them a very limited collection of books on California, and an almost entire absence of manuscripts and of the rarer books of the earlier eras. Evidently the demand for works pertaining to California history is not very insistent. If it were, more of an effort would be put forth to procure them. The lack of interest in our history is due largely to the fact that California was settled by one nation and developed by another. In the rapid development of the state by the conquering nation, the trials, struggles and privations of the first colonists who were of another nation have been ignored or forgotten. No forefathers’ day keeps their memory green, no observance celebrates the anniversary of their landing. To many of its people the history of California begins with the discovery of gold, and all before that time is regarded as of little importance. Los Angeles, February 1, 1910.